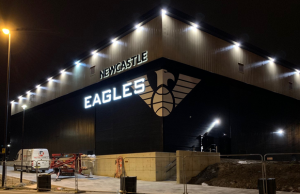 Charles Smith’s 21 points helped his Newcastle Eagles side clinch the BBL Playoff Final at a packed out NIA in Birmingham on Saturday, beating the Leicester Riders 71-62. 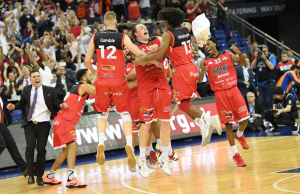 Smith picked up the MVP award as the Eagles completed a clean sweep of all the trophies this year, including their earlier BBL Cup, Trophy and league triumphs. 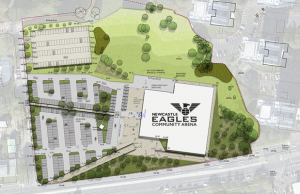 Despite being down double digits in the second quarter, Eagles went on a run punctuated with a Darius Defoe dunk to tie the game going into the halftime break, before taking the lead which they would never give up in the third. “We played extremely well, and played hard, but it was really difficult getting through that first period for us. Smith was backed up by 13 points from Paul Gause, and 10 points-a-piece from Player of the Year Joe Chapman and Darius Defoe. Leicester’s Drew Sullivan had 18 points and 8 rebounds, and Aaron Hardy flirted with a triple double, finishing with 12 points, 12 rebounds and 7 assists.